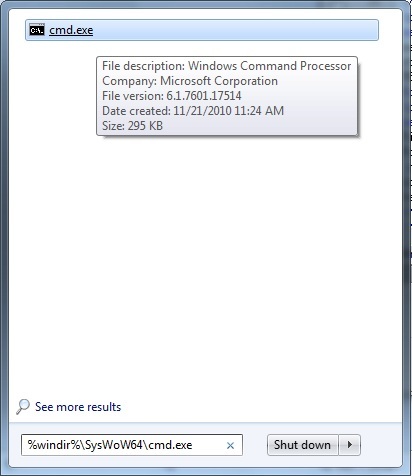 When running the VB Script on the 64-bit system, if you directly run the Script by double-clicking the vbs file, the system will run the VB Script as 64-bit. Then QODBC will report error like this: "[Microsoft][ODBC Driver Manager] The specified DSN contains an architecture mismatch between the Driver and Application"
There are two solutions, You need to either use QRemote relate DSN in your connection string or manually run VB Script under 32-bit mode to solve this problem. 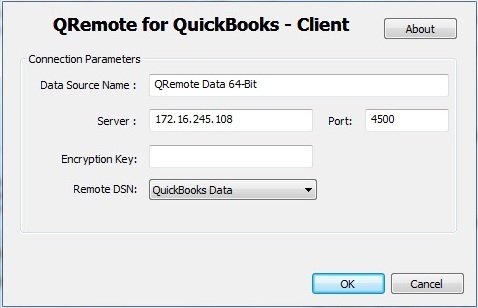 To use QRemote in your connection, you need first have one QODBC DSN that can connect to QuickBooks without any problem. Note down the IP Address on your QRemote Server. 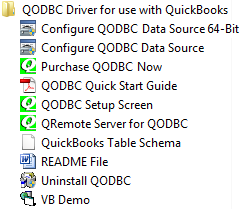 Click Start -- > All Programs -- > QODBC Driver for use with QuickBooks -- > Configure QODBC Data Source 64-bit. 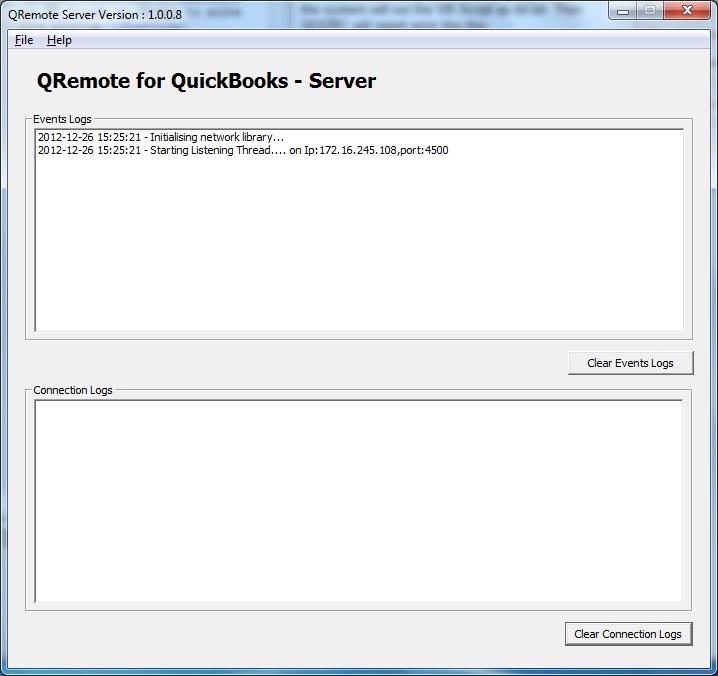 In this window, the "Server" is the IP Address you get from QRemote Server. 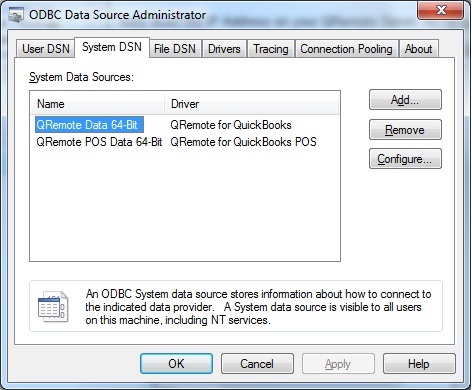 The "Remote DSN" is the QODBC DSN that you use to connect to QuickBooks. Make sure the DSN you assigned in this option is available to access QuickBooks. 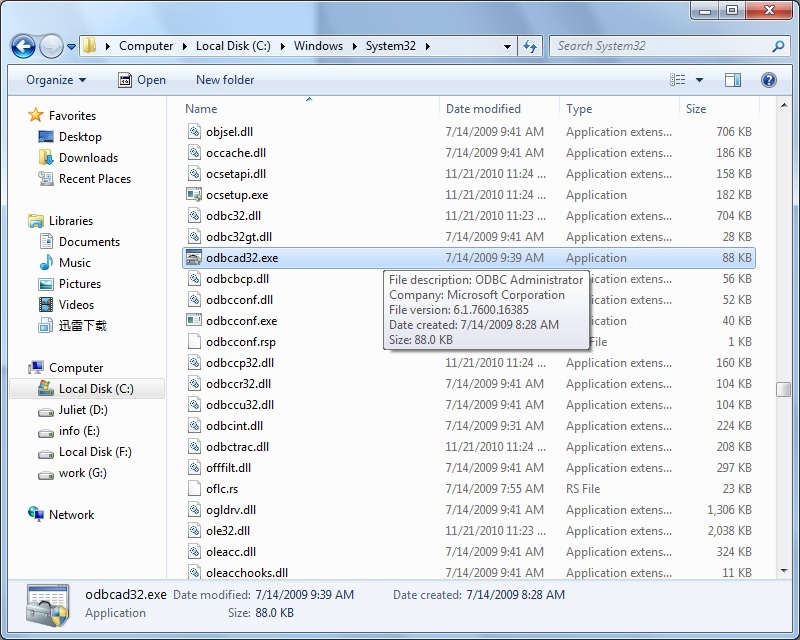 oConnection.Open "DSN=QRemote Data 64-bit;OLE DB Services=-2"
3) Click OK, then navigate to the folder where you store your VBS file, or move your VBS file to C:\Windows\SysWOW64. 4) Type "cscript Filename.vbs" in the cmd window. 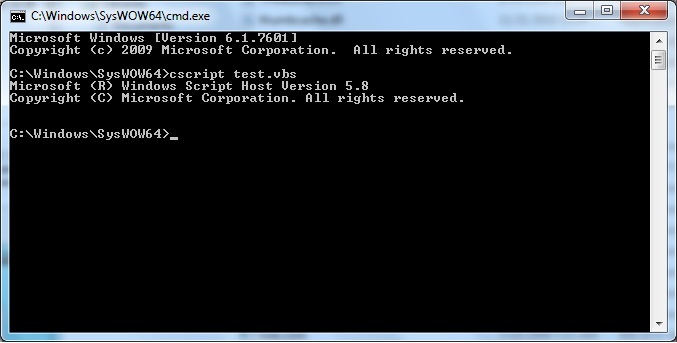 For example, if you have a vbs file named test.vbs, then type the command like this: "cscript test.vbs".